Early career scientists (ECS) make up a significant proportion of the EGU membership and it’s important to us that your voices get heard. To make sure that happens, each division appoints an early career scientists representative: the vital link between the Union and the ECS membership. If you are looking for an opportunity to become more involved with the Union, here is your chance! Read on to discover what it takes to be an early career scientists representative. The ECS representatives gather feedback from students and early career researchers, so that we can take action to improve our early career scientists activities at the EGU General Assembly and maintain our support for early career scientists throughout the year. ECS Representatives meet virtually (roughly) every quarter and in person at the General Assembly in April. During the meetings issues such as future initiatives, how to get more of the ECS membership involved with the Union and how ECS activities can be improved, are discussed. The representatives are also heavily involved in the running of ECS-specific activities at the General Assembly, such as the icebreaker, ECS Forum and the Networking & ECS Zone. Within each scientific division, representatives can also take on a variety of tasks, according to their areas of expertise and interest. These can include (but aren’t limited to): organising events for early career scientists at our annual General Assembly, outreach to early career scientists and the wider public through social media or a division blog and much more. To get more of a feel for what is involved, read this blog post by the former Geodesy Division ECS representative, Roelof Rietbroek, who gives an insight into his experiences while in the role. As well as giving you the platform to interact with a large network of researchers in your field, being an early career scientists representative is a great opportunity to build on your communications skills, boost your CV and influence the activities of Europe’s largest geoscientific association. 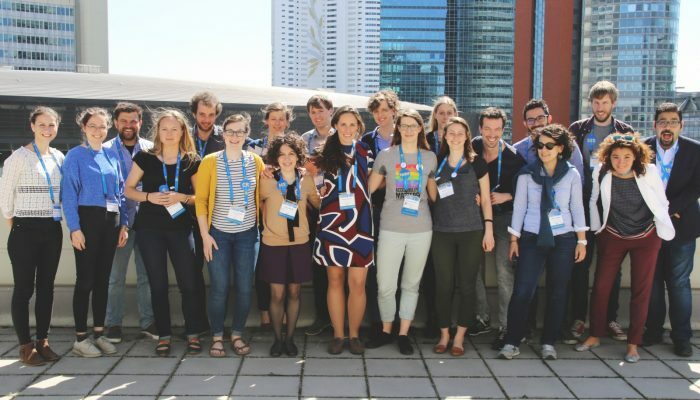 If you think you’ve got what it takes to be the next early career scientists representative for your division, or have any questions about getting involved in the Union, please contact the EGU Communications Officer at networking@egu.eu. Application deadlines vary from divisions to division, but new representatives will be appointed before or during the upcoming General Assembly in Vienna (07-12 April). We recommend you get in touch with us ASAP if you are interested in applying for any of the vacancies. You can also keep in touch with all ECS-specific news from your division by signing up to the mailing list. For more details about how ECS representatives are appointed and the internal structure of individual divisions take a look at the website.